on sundays we love to cook and make big dinners to last us all week long. it sure makes life easy to come home on a weeknight and just heat something up in the microwave. 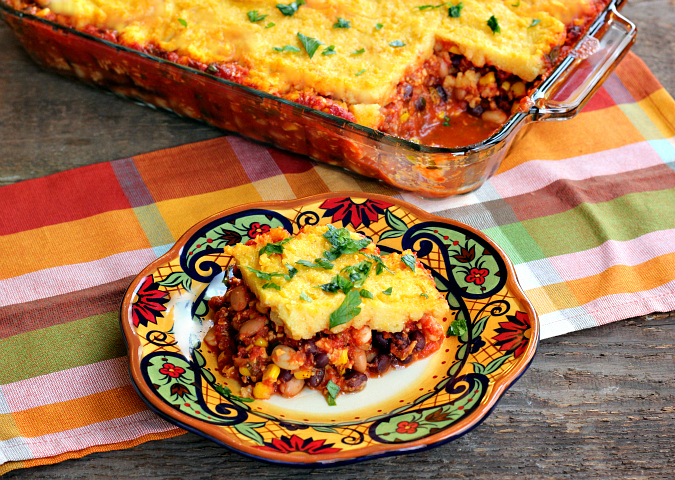 recently we made this vegetarian tamale casserole. 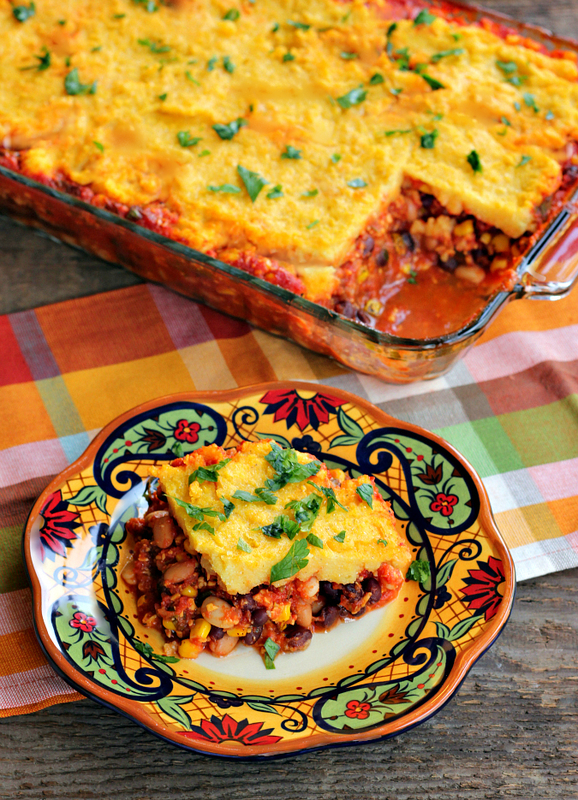 it really reminded me of a mexican version of shepherd's pie, with polenta on top instead of mashed potatoes. 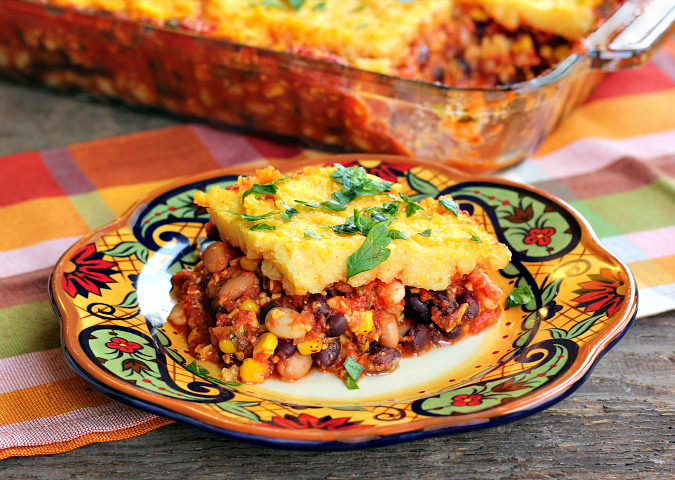 this is healthy comfort food with a kick of spice. the recipe makes enough for leftovers to last all week long. preheat your oven to 475 degrees F. lined a rimmed baking sheet with aluminum foil. drain the cans of diced tomatoes, but reserve 2 cups of the liquid. in a large bowl, combine the drained tomatoes, chopped onion, minced garlic, oil, and salt/pepper to taste. toss to combine, then spread evenly on the foil-lined baking sheet. roast for 35-40 minutes, until the veggies begin to brown around the edges. in a saucepan over high heat, bring the water to a boil. slowly add the cornmeal while whisking vigorously to prevent clumping. reduce the heat to medium-low and whisk until the cornmeal softens and the mixture thickens (about 3 minutes). remove from the heat and spread over the casserole with a spatula. place the casserole on a baking sheet to avoid a mess if it bubbles over. cover the casserole with aluminum foil and bake for 30 minutes. remove the foil and continue to bake for 30 minutes, until the crust begins to brown and the filling bubbles. let cool for 10-15 minutes before cutting and serving.